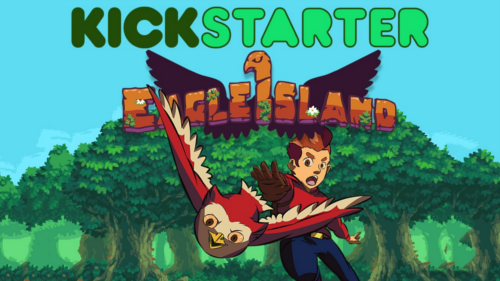 Hi everyone, Eagle Island is now on Kickstarter for anyone interested. Check it out! Hello guys, check out this game we were making non-stop for the past 2.5 years. Its called iDracula: Genesis, and development finally reached the point we are ready to announce it. We're also undergoing Greenlight, so if you wish to vote for us, please do. The Internet Archive has just archived 2400 MS-DOS games in a repository. All of these games are playable via stream in any browser with save / load options included. There are many highlights, what is yours? This pixel art masterpiece teaches you the finer points of flying safety and helps you improve your typing speed. Take that Mavis Beacon! Panic Arts has just published its first shoot-em-up game that takes place in a zombie apocalypse. Pixel Joint member NobleValerian recently completed a side scrolling platform fan game titled A Thwomp Tale. Experience life as a Thwomp in the Mushroom Kingdom. All pixel art by Noble Valerian, who developed the platformer with YoYoGames' Game Maker 8. You will need the YoYoGames plugin for your browser to play. Mozilla Firefox is recommended. Last weekend Ivan Dixon (aka iSTVAN) competed in the Global Game Jam 2011, a 48 hour game making competion themed "extinction." Ivan and programmer Conor O'kane produced an insect themed shoot 'em up called "The Last Flight of the Bumblebee" full of pixel arty goodness. You can download it for PC and Mac here and watch the Youtube trailer here. The game won "Best Graphics" and "Participants Favourite" at the Melbourne Game Jam. PixelJoint member VertigoZero has released a new, pixeled flash game. This puzzle platformer with 21 levels is based on a pixel piece in his gallery. What makes this game innovative, are the items you can use. Put on your 3D glasses to create new paths or float over gaps using your device. The original (old)pixelart piece is here. Enjoy (please)! Feedback is also appreciated. Also, if you're interested, you can check out the 'making of ' video here. Game Editor is an open source 2D game creator that allows you to develop games for a wide variety of operating systems and mobile devices. Naturally, due to the program's open source nature, you have the ability to view and alter its source code. You can find out more at Game Editor's home page. The RetroN 3 gaming system is compatible with NES, SNES and Sega Genesis cartridges. It comes with six controller ports - 2 for each of the previously mentioned consoles, so you can use your original controllers from your chosen system. Or if you like, it also comes packed in with two wireless controllers of its own. It's available now for $69.99 USD in either red or black (which actually looks more grey than black...). It has been announced that Paul Robertson (Probertson) will be in charge of the (pixel) art for the new beat ‘em up game based on the upcoming Scott Pilgrim movie and related graphic novel series. The game will be released for the Playstation Network on August 10 and for Xbox Live Arcade at an as-of-yet unspecified date. Don’t forget to check out the game's trailer and extra gameplay footage. Also, you can also find the trailer for the accompanying movie here; for everything else Scott Pilgrim related, feel free to click here. Thanks to Mis-BUG, James McCarter and [thUg] for the heads up on this article. The whole game is in pixelart and it's one of the few there is on app store! Click here to view it in the app store! Craig Robinson's Minipops are now available on the iPhone as a guessing game. Terrific and unique looking pixel art game for the iPhone. Great read for anyone interested in game dev for Xbox Live and some swell pixels! Remember Jetpack, the classic DOS platformer (www.adeptsoftware.com/jetpack/)? A sequel's being made in Flash after all these years, and instead of hiring an artist, Adam Pedersen's letting the players themselves contribute pixel art, tracker music, SFX and levels for the game in the form of a contest. The two top entrants will receive $50 and the next four $25. In addition, everyone whose work ends up being used gets a free copy of Jetpack 2 once it's finished, as well as a mention in the credits. The deadline is March 13th. Now's a neat chance to get creative and repay the good memories! A pixelated spoof based on, and inspired by, the new mega-failure: Final Fantasy XII. This game is every bit as Final Fantasy down to linear gameplay, random deaths, and a cliche story. Battle Kid: Fortress of Peril coming soon to a NES near you. Sivak games will be releasing a brand new game for the Nintendo Entertainment System called "Battle Kid: Fortress of Peril". The game will cost approximately $30USD and comes in a real NES cartridge. It will be available from RetroZone around mid-January. View the trailer here and a the video FAQ on the game here. I stumbled upon a great Pixel Games artist whilst browings through google in search of a few frameworks. Mr. Alastair John Jack has an eye for nice old-schoolish RPGs and he's created a few free games for your gaming pleasure. He's also working on two new games! Check out this Colecovision-style Flash game from PixelJam, the latest installment in Adult Swim's 8-bit Rejects collection. You move these blocky pixels around and make other pixels hit each other. It's the most fun you'll have all day. Or maybe not, since today is Friday. My high score is a gizzillion points, so don't bother trying to beat it or anything. Manomio.com whose mantra is "In Retro We Trust" has finally released their Commodore 64 emulator for the iPhone and the iPod Touch. Feauturing realistic joystick and keyboard. Manomio currently has 8 of the original games, free with app. "Potshot is the quick little game you have been waiting for." A brainchild of Mambazo, who has been working on it for several months now, Potshot is a neat multiplayer turn-based tactics game that runs in your browser, and features a bunch of cute pixel art graphics! Ammo - Pistols - SMGs - Rifles - Armor - Frag & Flash Grenades - Medikits - Explosive Barrels and more! Dino Run is Pixel Jam's most popular game. Infact it is a free flash multiplayer game. You control a Dino escaping extinction, Play single player, Multiplayer and reach amazing running speeds in this popular platform racing game. This game combines classic pixels and complex pixel effects together. Pros: Fun, Lasts a little, multiplayer, pixel, graphics, features. Cons: Sometimes there aren't many matches going on, may not work if your computer is sluggish and super slow, other than that it is a very good game. From Andrew McClure comes Jumpman, a maddeningly fun platformer that starts out simple but becomes increasingly mind-boggling the farther you progress. What would The Dark Knight look like if it was a NES game, and not a Batman movie? Its a fake NES game intro, made by an animator called Macbee. Likely one of, if not the most powerful and touching 600x96 resolution game you'll encounter this year, Jason Rohrer brings us Passage, a brief little adventure chronicling a person's lifetime from start to finish. IGN did an article on video game character halloween costumes. It's IGN, so I assume this has already been on the intarwebs for years now. But, I've never seen the Day of the Tentacle costumes before(which are awesome) and want all to see them in their glory. As part of the Jay is games competition #4 (www.jayisgames.com) the team stimunation has entered with a short but fun little adventure style minigame. The pixelart is leaning towards the old LucasArts classics of Monkey Island and Day of the Tentacle. It's short... but with some quality pixels in there. Wednesday May 16, Microsoft will release a 2-D shooter called "Aegis Wing" that a few interns made last summer. The download is completely FREE but only available to residents in the USA and only for a limited time.